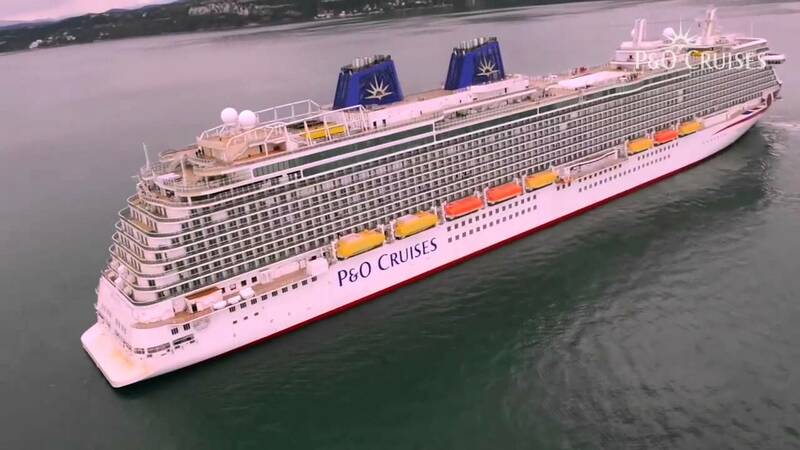 P&O Cruises has released a new video of P&O Britannia s recent sea trials and the ship look s absolutely amazing. 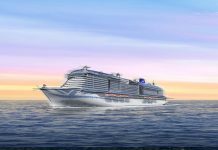 The footage is a glimpse of the ships first few moments during sea trial which started on 7th December. 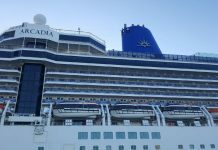 The trials which usually test all the propulsion systems along with several other test occurred just off the Italian coast. 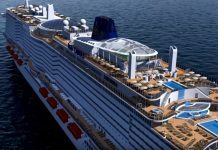 At the end of the week P&O Britannia will head back to the Fincantieri shipyard in Malfalcone, Italy for the final phase which includes fitting out all the interior spaces. 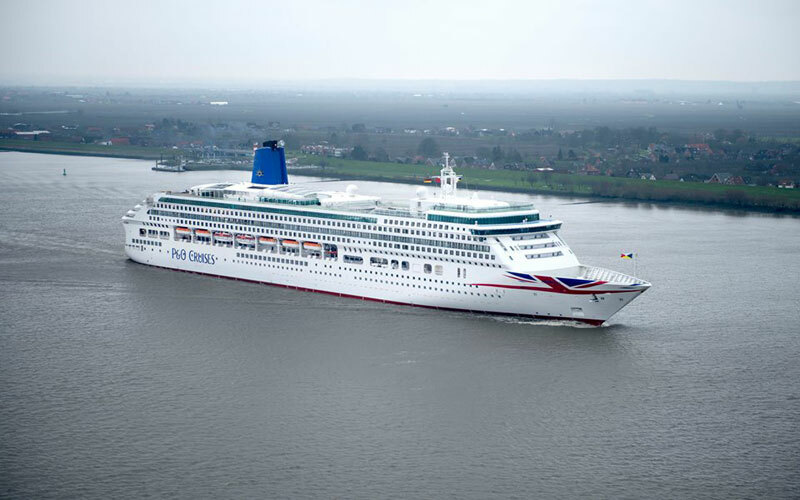 Once complete the 142,000 ton vessel will begin sailing from Southampton in March 2015. 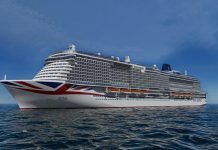 The ship features the largest ever Union jack and will showcase British cruising across the globe. 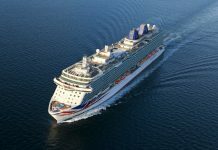 Britannia can carry 3,600 passengers and over 1,300 crew members.